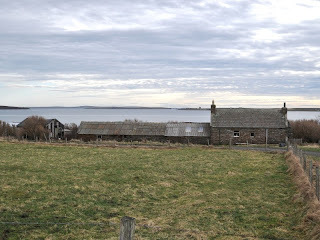 A family we know moved to mainland Orkney a few weeks ago. Upped sticks and went, just like that (well, almost). Every picture they showed us of their new home was breathtaking. So, here we are: some wrecks in the Orkneys. 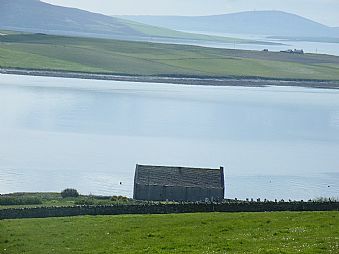 "My own 'wreck' is a beautiful stone Kirk on the Isle of Rousay. Right by the water's edge and a stone's throw from a Unesco World heritage site." His plan had been to renovate it to create a holiday retreat but "life and family issues" intervened. 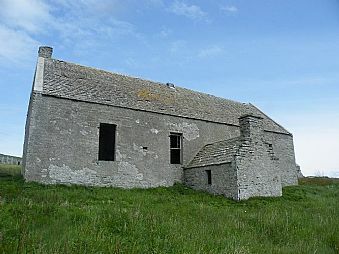 The building is derelict and only the building and its footprint are for sale - the local authority owns the grounds, including the former kirk's graveyard. 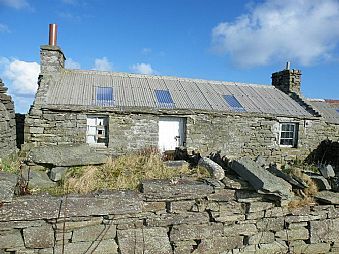 It's on the market through Drever and Heddle at offers over £35k. Details here. UPDATE: Alan has now dropped the price to £28k. Latest details on Rightmove, here. Also with Drever and Heddle is this group of buildings (below) at Orties, on Sanday. An equally lovely shoreside setting, and an even more challenging renovation project. 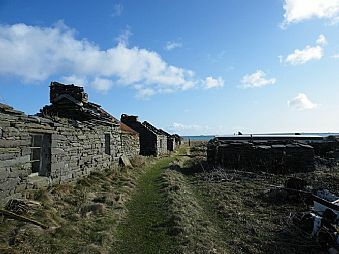 Most of the buildings are huddles of walls rather than buildings, but it comes with around two acres of land and direct access to the sandy beach at Saville. It's on the market at offers over £42k. More details here. But if you prefer your renovation challenge a little on the softer side, wreck number three, at Lyness on Hoy, offers a room or two you could live in while rebuilding. 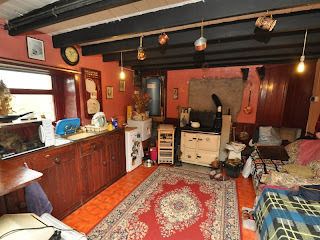 The house has a dining/kitchen with a Rayburn cooker (below) and a living room with a solid fuel stove. Mains electricity and water are connected and it has its own septic tank drainage. Upstairs is a full-length attic room and it comes with good-sized outbuildings.There's no information about what or if it comes with more than the land the buildings sit on. It's for sale through Lows, at offers over £47k with a deadline of August 15th. More details here.